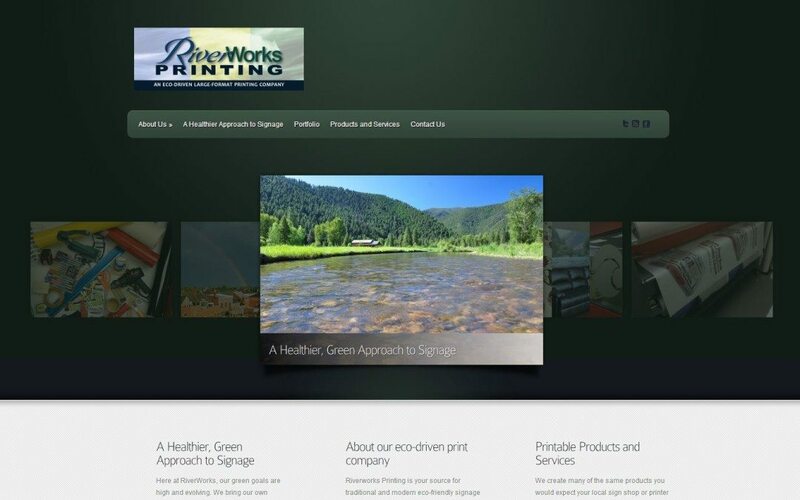 Riverworks Printing is an eco-driven large format printing company based in New Hampshire. While printing is not an industry known for its care of the environment, Riverworks is trying to make a difference. Riverworks needed a site upgrade. The old site was functional, but outdated by today’s design standards. We designed a responsive site so that it renders adequately on devices with any screen size. We of course deployed SEO to enable the site to be better found online. We also ensured that the new site would be found on relevant local business directories, and that it was adequately linked with the company’s social media accounts (tweaking some of those along the way). The site includes Google Analytics and security plugins – essentials of a well functioning, secure site. Riverworks is part of a larger grouping of companies that work in the fields of transit advertising, home and business decor and, you guessed, it fly fishing. We are helping Riverworks and its sister organizations to define and execute sensible branding and online presence initiatives, to better to convey to the public who they are and what they do.